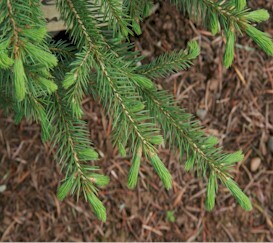 The foliage is light blue, often silvery and the 1-2” cones are a deep purple. 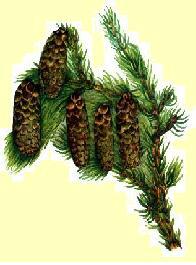 The branches spread at right angles to the trunk and droop only slightly. 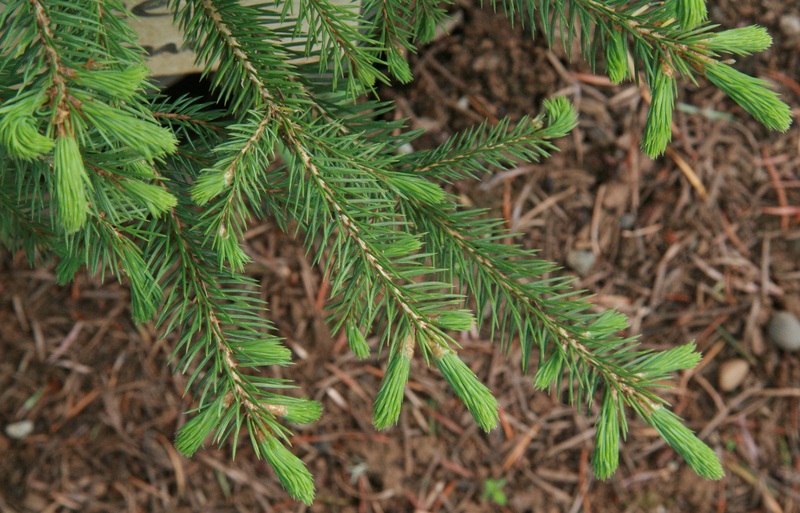 Occurring at high elevations, this tree is found throughout much of western Canada and the US and is more common in the Rocky Mountains than on the Pacific coast. It is hardy to USDA zone 3. 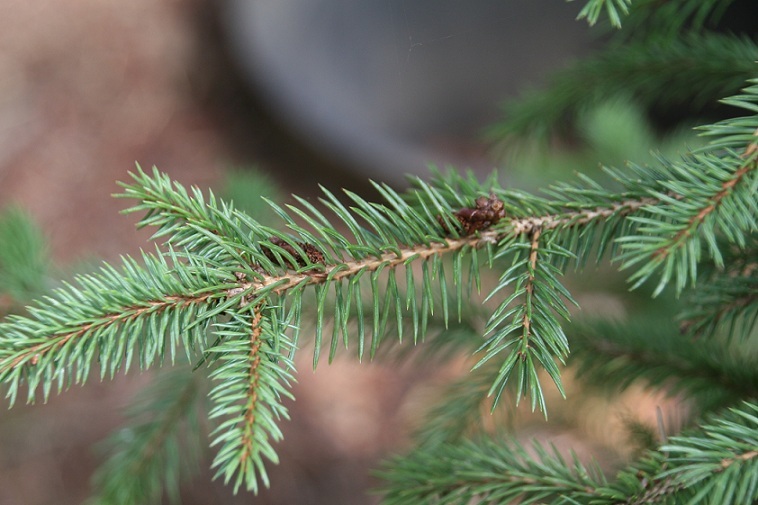 Englemann Spruce prefers rich, moist acidic soil and a sunny spot. 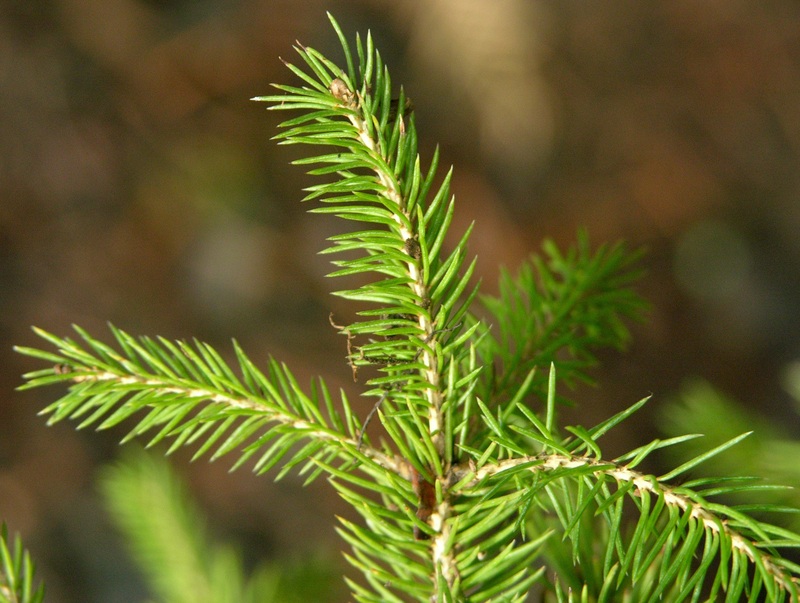 However, providing transplants with shade, whether from other plants or from artificial means, is an excellent measure to ensure the plant becomes well established.